Amy Schumer may have backed out of an upcoming Barbie movie, but the actress and comedian is nonetheless donning a pink suit and blonde hair for her next onscreen role. She's the star of I Feel Pretty, and she debuted the trailer for the new flick on Ellen earlier today. 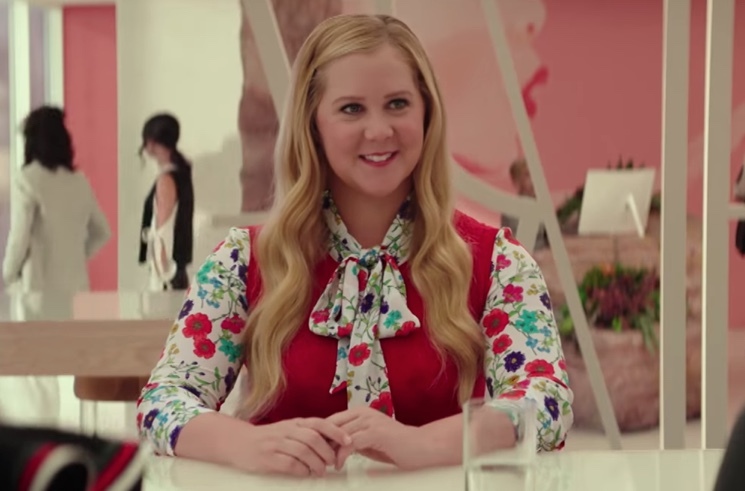 The film tells the story of a character named Renee (played by Schumer), a woman with low self-esteem — until she falls off a SoulCycle bikes, hits her head and comes to with a revitalized sense of (over-)confidence. Schumer is joined in the film by fellow funny ladies like Busy Philipps and Aidy Bryant, as well as actresses who don't often get to show off their comedy chops, like Michelle Williams and Emily Ratajkowski. I Feel pretty hits theatres on June 29. Watch the Schumer introduce the trailer on Ellen below.